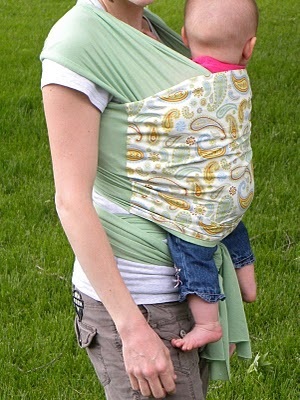 Keep baby close to your body and your hands free with a body wrap you made yourself. With some jersey knit and cotton fabric plus this baby wrap pattern, you can easily sew a garment that holds baby snug to you. This wrap is very comfortable for you and baby as it is designed to be worn more like a shirt. The jersey fabric gives it just the right stretch yet doesn't become lose. Take time to read through the detailed instructions and start sewing a baby wrap for you or to give as a baby shower gift. Sew a warm and cozy place for baby with this simple sewing pattern.